Borrowing from a photo of a previous painting (Quadrilateral Code) I use the same rectangular patterning but digitally manipulate it into a warped format. 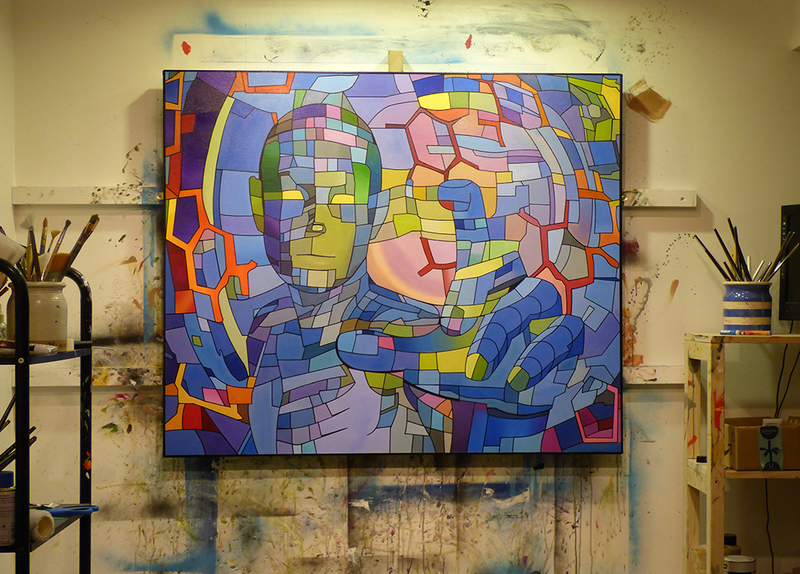 This is combined with a figurative element and structural DNA diagrams, finally the image receives one last transformation as it is interpreted and painted onto canvas. It’s no surprise that much technological advancement is currently aimed at the human body. Through gene enhancement or even tech implants, the body is getting its upgrades not from Darwin, but from robotics or genetic engineering.